If you haven't heard the name 'Marko Stunt' before, don't worry. Around a year ago, most people hadn't - that was until a meteoric rise saw Mr Fun Size take on the world, and he most definitely won! The viral sensation may not look like the stereotypical wrestler, but if you watch Stunt in the squared circle for five seconds, it's impossible to take your eyes off him - as was the case for many at ALL IN when Stunt managed to leave a huge impression on the wrestling world, despite being in the Over Budget Battle Royal match with The Hurricane, Billy Gunn, Bully Ray, Tommy Dreamer, Moose, Brian Cage, Jordynne Grace, Punishment Martinez and Colt Cabana. Sadly, though, Mr Fun Size's momentum ground to a halt when he had a slight gimmick change - becoming the Broken Leg Boi at LA Confidential and subsequently being unable to wrestle ever since. That time away, though, has only spurred him on, and he's even released a t-shirt commemorating the injury! So what can we expect from Marko Stunt when he returns to the ring? I recently caught up with him to find out. 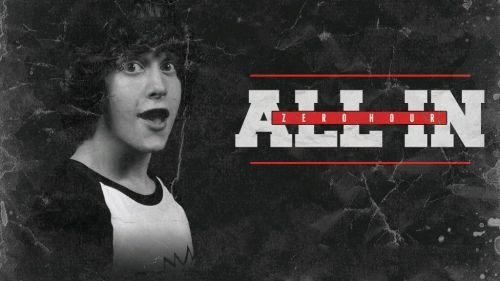 You took the internet and wrestling world by storm last year, and ended up with a huge role to play in the Over Budget Battle Royal at ALL IN. How did that all come about? Man, so I was on vacation with my family. We were all hanging out in the hotel room, and I got this random message from a guy named Brett Lauderdale. He introduced himself and told me who he was and what he did. For those of you who don’t know, GCW is his baby. He wanted to know my availability for a show - Live Fast, Die Young - and I immediately agreed. It was a day later or so when he asked me about Lost In New York. I thought he was messing with me, honestly, but he told me what they wanted to do. I was skeptical about it at first, because “How is me coming out of the crowd going to work?” But I ended up working on that show, and Cody saw me do a move that I thought was just a different move, but he really liked it. I woke up the next morning with a text from him asking me to be involved with the Over Budget Battle royal. That’s where that all came about. What was it like to share the ring with WWE legends, huge ROH and Impact names, and some of the biggest names in indie wrestling? Getting to work with the people I worked with that day was absolutely nuts. Never in my life did I think I would have a face-off with Bully Ray. Really, he’s the reason I got to shine as much as I did in that battle royal! He kept putting me in places so that it would get attention and that I would have a chance to stand out. I can’t ever thank him enough for that. I think what was more surreal for me, was actually the atmosphere. It’s something I’ve never experienced in my life, and I would do it all over again in a heartbeat. Much like your own meteoric rise, AEW seems to have completely blasted out of nowhere from that. What do you think of AEW? AEW is groundbreaking. I think it’s opening up a lot of opportunities, not only to the wrestlers getting signed, but to the workers on the indies who haven’t made that come up yet. There are so many spots opening up right now, that people have gotta capitalize on it while it’s hot. But over all, with AEW, I think they’re going to do great, and I think, already, what they’ve done is historic. Is that somewhere we may see you in the future? Obviously, I would love to be a part of it! Haha. I’m enjoying seeing all of my friends that are getting announced. I can’t say much on me joining them, as of right now, but hopefully, in the future we can work together. You'll forgive me for saying this, I hope, but you're not the stereotypical image someone may think of when we say 'wrestler' - is that something that's spurred you on? Hahaha, I take no offense to that. I mean, I understand that I’m a pretty small guy. I think it makes me unique though, and I think it’s what drives me to do that stuff I do, ultimately. I guess in my head, I always had something to prove, because I’m not like everyone else. When I was growing up, I didn’t know I was tiny. I always kept up with people twice my size. When I was younger and was growing up watching wrestling, I wanted to be 7ft tall, but we see where that worked out. Now I’ve learned to use my size for the better. I’m comfortable in my body, and I’m always trying to come up with new ways to use that size! What would you say to others who want to get in the squared circle? If you’re someone who wants to get in the ring, do it. Just make sure you’re doing it the right way. Get ACTUAL training. Stick to it, because it’s going to be tough. I trained once a month, for a long time, and it sucked. If you can find a school, do that for sure. Most of all, listen. Finally, that spot where you broke your leg at LA Confidential looked absolutely terrifying. How's the leg healing up? When might we see you back in the ring and what can we expect from Marko Stunt in the future? Breaking my leg was the weirdest feeling ever. It’s kind of like, if you watch a skateboarder break his leg, and it just kind of flops around loosely - that’s what it was like. It was the worst pain I’ve ever felt, for sure! Right now, though, it’s doing great! I’m back in the gym, and I just had my final doctors appointment today! Now I can focus on strength and balance, and start to get in the ring again. A huge thanks to Marko Stunt for chatting with Sportskeeda. We wish him all the best in his recovery. You can follow Mr Fun Size on Twitter here and check out his merchandise on Pro Wrestling Tees here.